Hanoi is Vietnam capital city. This city is full of wonderful sceneries and charming water falls. Here you get to enjoy a mixture of the old and the new Vietnam. There are lots of bicycles, motorcycles and cars. 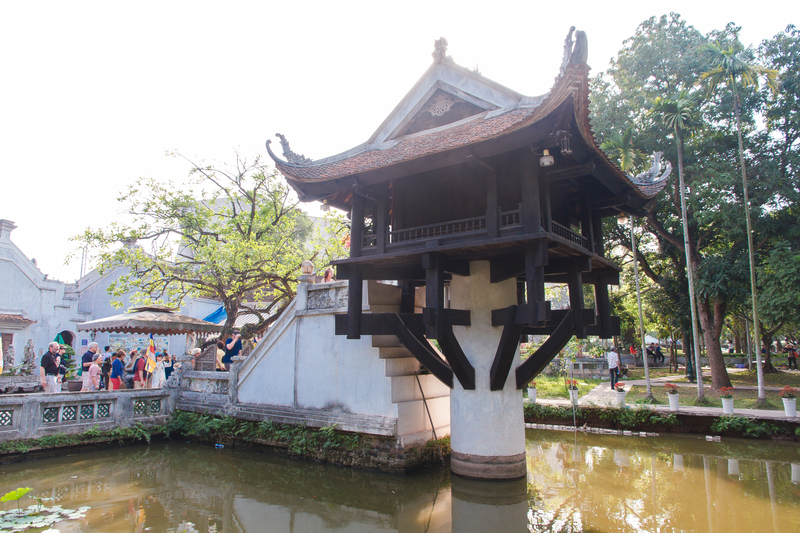 The Asian pagodas makes are more reasons to stop here when travelling to Vietnam. Curious on what sites to visit here, read on to get the clues. The pagoda was built by an emperor. This was a sign of thanksgiving for the gift of a son. Inside the temple is an exquisite budhissatra shrine. During the war, the temple was destroyed and now has been re build in the exact design. The museum is Vietnamese home of art. Thus bringing history to life. Actually, it carries artistry from the prehistoric period. Additionally, there are stone and beautifully molded sculptors. What fascinates more are the Buddha statues and statues of goddess Guan Yuan. This citadel in Vietnam holds memories of political powers. You can term it as political tourist site. Military maps, bunkers from the war and the archeological works inside precise, it was once a seat of military power. This is the largest lake in Hanoi with pretty sky view. With the numerous temples nearby and breath taking views, you would certainly enjoy the place. Most of the locals are often found exercising by either cycling or walking. There are also many restaurants at the shore where you can enjoy fresh sea food. Enormous in size, the market is located inside a 4 storey building. This is a home of fashion since you can purchase different clothing’s. From t shirts to sunglasses. You would definitely love the handcrafts. Worried on what to take home to friends and family? There are plenty of souvenirs to choose from. This is a religious building which holds the nation literature. Years ago Philosophy of Confucianism literature was taught here. Taking a stroll in manicured garden wouldn’t hurt. You can also enjoy Vietnamese coffee and the local dishes. Home to jungle plants and animals, Ba Vi national park place has 3 Peak mountains. Climbing on top of tallest peak offers which with an awesome view of the country side and the forest and red valley. At the foot of the mountain are spas for you to relax. The place also has medicinal plants. You can enjoy walking and hiking activities while here. Also known as silt house .the palace represents traditional rural dwellings. Visiting here gives you a taste of how the government was run in the past. This place is used sometimes f as receptions for various events. When you speak of perfect combination, there’s a blend of old and new here.the old buildings and numerous motorbikes render this place exquisite. There is also French architecture. Taking a stroll round here along the sidewalks is sophisticating. Also named the lake of returned or restored. The name originated from emperor who was given the swords by the gods to drive away the intruding Chinese. Sights to be enjoyed here include the jade island, Ngoc son temples and stocky turtle tower. Hanoi is awesome. To experience the full Vietnamese culture, the place has more than enough to offer.